William Bennett strides across the flute-playing landscape like a colossus, and it is fitting that a book about his life should be written in his 80th year. 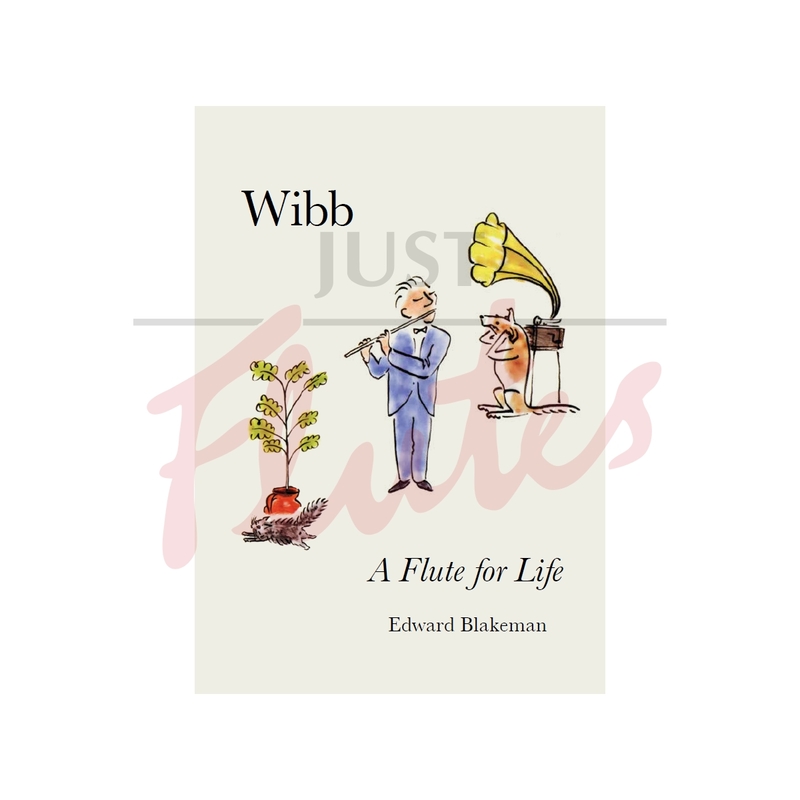 The author is Edward Blakeman, an established writer, flute player and long-standing friend of Wibb's, and the format of his commentary results in a lovely read and one that is easy on the eye. Their close relationship over many years is the main reason this book is so special. It’s no surprise that Wibb’s wonderfully idiosyncratic personality comes shining through. From the opening sentence (‘It’s unusual to be able to start anyone’s story before they are born, but Wibb knows exactly how he got here’), it’s clear that this man is just a little bit different. His background is steeped in art and music, and his formative years are documented in extraordinary detail. Blakeman has let Wibb’s own words paint their pictures as vividly as those he creates with his flute. Actual pictures are also very important. Yes, there are the photos of Wibb with great musicians and the usual concert posters and programmes, but there are few biographies of flute players that are interspersed with their drawings and paintings. Handwritten letters to his parents dating from his time studying in France include sketches highlighting his sometimes irreverent comments on French musical life. He fondly addresses them as ‘old buzzards’, in one case complete with appropriate illustration, which might have made his pleas for more funds a little easier to deal with. Biographies can sometimes feel a little detached, but not this one. Each chapter covers a topic dear to Wibb's heart. The love and respect her has for his teachers Gilbert and Moyse, for example, is tangible and cannot fail to engage any reader, fluteplayer or not. His time with them and their influence is fully documented, complete with perceptive insights into their way of working. Anecdotes abound throughout the book, and Wibb’s ability to capture the very essence of any character is quite compelling. Heroes and villains are treated equally! Perhaps the most interesting thread here is Wibb’s seemingly insatiable appetite for discovery. This is always the thing that sets someone apart. From making his first flute out of a bicycle pump to the never-ending quest for the perfect flute scale, the amount of investigation, sometimes into lost causes, is incredible. This clearly doesn’t stop at the practical - the search for the perfect phrase, the perfect colour, or perfect tonal inflection reflects on his huge ability to listen to others. Assimilating influences from outside the flute and using them to create his own inimitable voice has played a huge part in his success as a performer and, latterly, as a teacher. To have this described so effectively is utterly inspiring. For anyone lucky enough to have come into contact with William Bennett, as well as those who haven’t had that privilege, this warm and affectionate tribute is a perfect way to celebrate a birthday year. Wibb is not just a formidable flute player, not just a musician of huge integrity, but also a wonderful man. Long may he continue to delight us all. This is not a traditional biography. Rather, it is an invitation to spend time with an extraordinary, mercurial personality. Wibb is larger than life and certainly not to be constrained easily between the covers of a book. But whatever this book is, you will be able for the first time to follow Wibb in detail through his extraordinary life devoted to the flute. Wibb has played the flute, taught it, redesigned it, re-made it, and thought endlessly about it for over sixty years. There was a lot to talk about and I have sought to reproduce the immediacy and informality of our conversations as closely as possible. William Bennett (Wibb) is internationally renowned as one of the greatest flute players of our time. In a glittering career spanning six decades he has toured the world performing and teaching to universal acclaim. This book explores his extraordinary lifetime devoted to the flute—and for the first time presents Wibb in his own words. Edward Blakeman is Head of Music at BBC Radio 3. A former Chairman of the Britsh Flute Society, he is editor of The Flute Player’s Companion (Chester Music) and numerous other musical editions, and author of Taffanel—Genius of the Flute (Oxford University Press) and The Pocket Guide to Handel (Faber & Faber).